← The Font of All Wisdom? 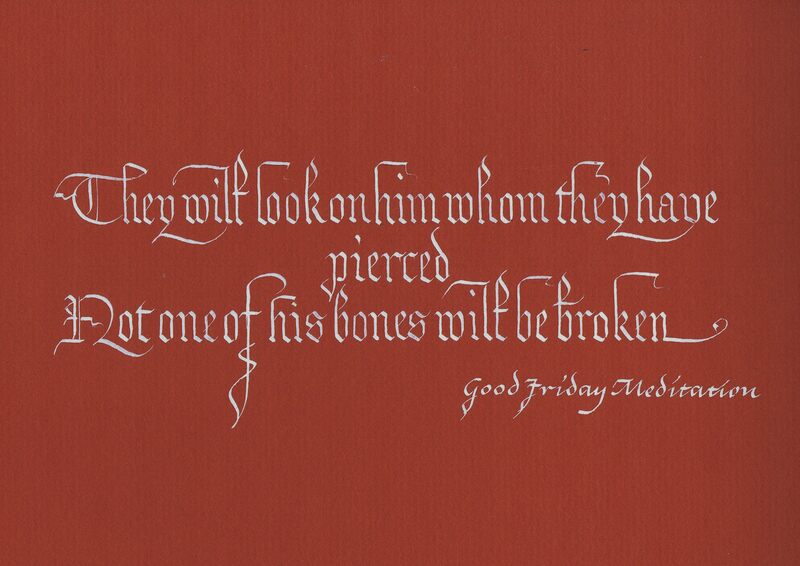 This entry was posted in ,calligraphy,calligraffiti,lettering, how to, Easter and tagged calligraphy, Easter, Good Friday, Picture. Bookmark the permalink. Bill your posts are wonderful. May yu and your family have a happy Easter. Best wishes and Easter Greetings to you and yours.